Spaghetti with tomato sauce: the recipe that best represents our country. But are you sure you have the right ingredients? 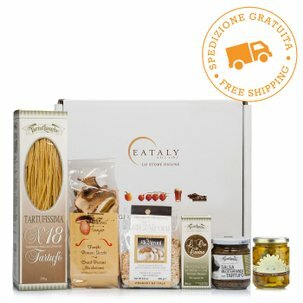 Eataly has selected the best ingredients for you, starting with Gragnano pasta, which you can serve with the unique San Marzano tomatoes, a bit of extra virgin olive oil and a touch of Trapani salt. 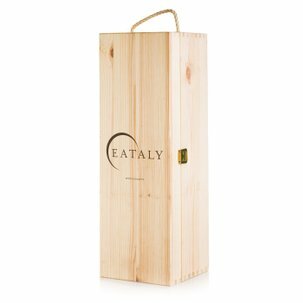 You can't forget dessert, which we have selected from the delicious and healthy ones from Luca Montersino: the Apricot Tart from Golosi di Salute, served together with the irresistible bubbles from Serafini&Vidotto. Ingredients Trapani Salt Crystals 200g:Food-grade salt. Anchovy Fillets 80g:Anchovies, olive oil, salt. ALLERGENS: fish and fish-based products. Spaghetti 0.5kg:Durum wheat semolina. Contains gluten. 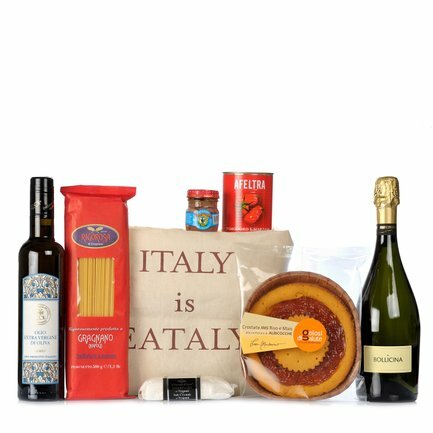 Eataly sends to your home all you need to prepare the recipe that best represents our country: Pasta with tomato sauce. This package includes: 1. Lurisia&Eataly Big Bag, 2. Roi - Extra Virgin Olive Oil 0.5l, 3. Rigorosa - Spaghetti 0.5kg, 4. 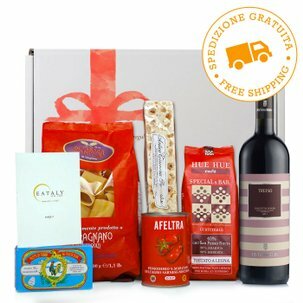 Afeltra - San Marzano dell'Agro Sarnese-Nocerino Tomatoes DOP 400g, 5. Gallo - Anchovy Fillets 80g, 6. Il Mercante di Spezie - Trapani Salt Crystals 200g, 7. Golosi di Salute - Apricot Tart 300g, 8. 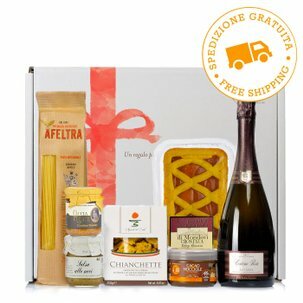 Serafini&Vidotto - Bollicina Doc 0.75l.